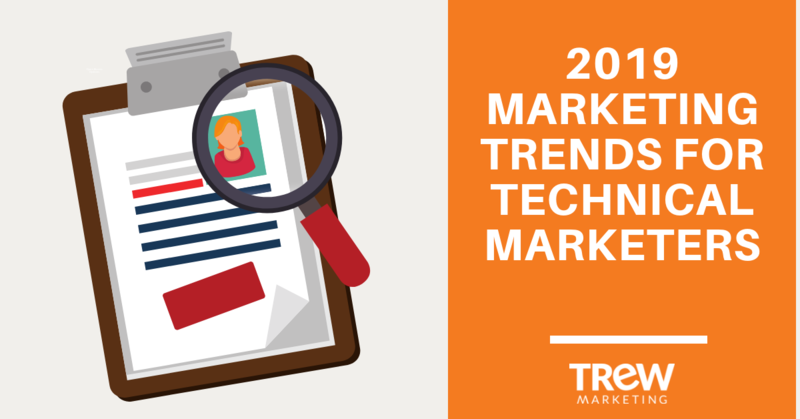 Engineering-focused marketing agency, TREW Marketing and IEEE GlobalSpec, a provider of data-driven industrial marketing solutions designed to help companies promote their products and grow their businesses, today announced the release of the 2019 Smart Marketing for Engineers Research Report. The study found that companies marketing to engineers should invest in creating diverse content, improving their website, and aligning sales and marketing teams to succeed in 2019. These findings come from a survey of hundreds of engineering and technical professionals who make or influence buying decisions. Three-quarters of respondents hold engineering staff and management positions from a variety of industries, including manufacturing, engineering services, automotive, energy, consumer electronics, electronic components, semiconductors, and aerospace and defense. On November 15, CEO and Co-Founder of TREW Marketing, Wendy Covey, along with Senior Director of Product Management, Linda Uslaner and Senior Director of Audience Development, Amber Cooleen both of IEEE GlobalSpec will host a webinar to discuss how to use the data to inform stronger marketing plans and create effective content that helps engineer buyers and drives leads. Datasheets, case studies, and how-to videos were most valuable to engineers when researching the latest engineering technologies, industry trends, and products or services. By creating compelling case studies, companies provide prospects with significant content that can strengthen a brand, build credibility, and influence buying decisions. For a majority of engineers, a company's website has a major impact on brand perception and buyers are using search engines to find new vendors and products. Potential clients form judgments on a brand and a company’s expertise based off of a website's appearance and user experience. With so much riding on search and web presence, companies must prioritize their investment in a high-performing website and optimize it for search. The four fields engineers are most likely to complete on a web form are work email address, company, first name, and last name. Most engineers have 3-4 interactions with a vendor before communicating with them directly, and say that close to 60% of the buying process is completed when the first sales interaction occurs. Sales and marketing must be intentional about interactions with prospects through smart pipeline management. To watch our on-demand webinar, Smart Marketing for Engineers®: Insights to Guide Your 2019 Marketing Strategy, to gain insight on how to use the data from this study to create better B2B technical marketing programs for 2019. Download the 2019 Smart Marketing for Engineers® Research Report to see the full report. Learn more about TREW Marketing, a full-service marketing firm serving technical companies at http://www.trewmarketing.com.